Hearing aids are no one’s idea of the best way to hear. They can feel awkward or uncomfortable, and make it hard to distinguish speech from background noise. Often they emit annoying beeps, or mysteriously stop working. They can’t be worn when sleeping or swimming. They certainly aren’t cheap, and they’re all too easy to lose. If your hearing is fine, what could seem more thoroughly unappealing than spending good money to stick an electronic device in your ear in order to hear what’s going on? If you’re going deaf, however, it’s a different story. Then hearing aids, for all their drawbacks, can be an indispensable godsend. This is not a column about hearing aids. It’s about payday loans, and about sweeping regulations proposed by the Obama administration that would effectively drive payday lenders out of business. Most Americans would never think of turning to a storefront lender in a scruffy neighborhood to borrow a few hundred dollars for two weeks at what amounts to an annualized interest rate of 400 percent or more. There could hardly be a worse way to legally obtain a modest sum of money to meet a short-term need. Unless, that is, you happen to be one of the 12 million people a year for whom better options don’t exist. Then, as with hearing aids for those suffering from hearing loss, an otherwise disagreeable choice can provide valuable relief. Payday loans — so-called because they typically require a borrower to show a stub from a recent paycheck and to put up their next paycheck as collateral (in the form of a postdated check or debit authorization) — are often derided as “predatory.” For a fortnight’s loan of, say, $200, a payday lender might charge a fee of $30 — an exorbitant rate by conventional standards. If, as is often the case, borrowers can’t pay back the $230 when the two-week term ends, they can renew the loan for another two weeks by paying an additional $30. According to the Consumer Financial Protection Bureau (CFPB), about half of all new payday loans are repaid within a month. But 22 percent of new loans are rolled over six times or more, which means that a borrower — who is typically living paycheck to paycheck — will end up paying more in fees than the original loan amount. The Consumer Financial Protection Bureau has proposed important restrictions on payday loans. Most consumers would never agree to those terms, and it isn’t hard to fathom why critics rail against payday loans. In 16 states and the District of Columbia they have been banned, either explicitly or through interest-rate and fee caps that amount to a ban. 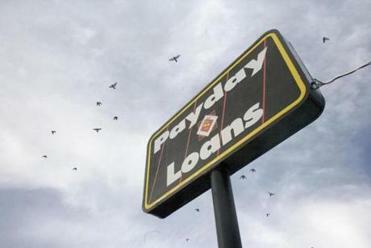 Nevertheless, there are an estimated 20,000 payday loan stores. It is a $38.5 billion market. Clearly there is strong demand for the service payday lenders are selling. But the social justice warriors of the Obama administration want to shut the industry down. On June 2, the CFPB rolled out new rules that impose hefty constraints on lenders, forcing them to verify their customers’ income, sharply curtailing loan renewals, and making it harder to debit a borrower’s bank account. The administration estimates that with the new requirements in place, as much as 84 percent of payday loans will dry up. But then what? The feds can strangle the storefront operations that supply quick cash, but the demand won’t go away. What happens to the 12 million Americans who annually take out payday loans? These borrowers aren’t incompetent and irrational bums, whatever federal regulators and consumer activists may imagine. They are mostly lower middle class, not poor. Nearly all are high-school graduates. Every one of them has a job and a bank account. What they don’t have is ready cash, or an unmaxed-out credit card, or a credit score high enough to obtain better loan terms. For such individuals, writes Paige Marta Skiba , a law professor at Vanderbilt University who studies high-interest borrowing, “an unexpectedly high utility bill, a medical emergency, or the consequences of a poor financial decision (that we all make from time to time) can prompt a perfectly rational trip to a local payday lender to solve a shortfall.” Regulate storefront lenders out of existence, and where will such borrowers turn? 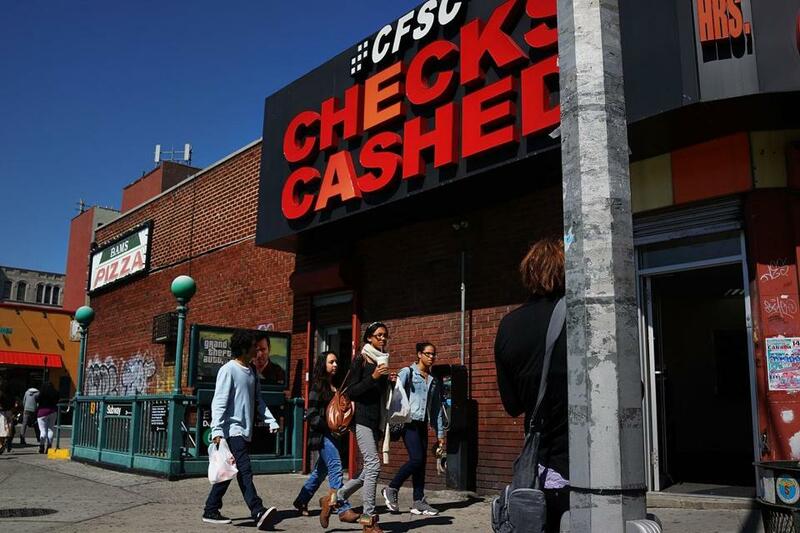 Payday loans are pricey, but the industry — 20,000 locations, remember — is competitive. One 2013 study calculated that each additional payday firm within a given ZIP code was associated with a $4 decline in fees. The strikingly high rates charged by payday lenders don’t translate into strikingly high profits. On the contrary, when returns are adjusted for risk, publicly-traded payday loan companies have earnings comparable to other financial firms. The payday shops’ fees are so much higher, concluded researchers Mark Flannery and Katherine Samolyk in a paper for the FDIC, because their fixed costs and default rates are higher. Too often, government regulators harm the very people they think they’re helping. Payday loans are disagreeable, but they benefit millions of Americans. Depriving them of that choice, like depriving the hearing-impaired of their hearing aids, will only make a bad situation worse.